Since 1994, we've paired thousands of underprivileged children with thousands of creative adults. Art Buddies helps kids realize their creative potential, and discover that creativity can be a path to a successful future. Watch our video to see Art Buddies in action! Our kids are students at partnering schools. Our partner schools are identified based on need, adequate space and scheduling. Most of our children come from low-income families and range in age from 8 to 11. They’re an ethnically diverse group, and some speak English as a second language. They’re creative professionals and students working in all sorts of exciting fields — including advertising, graphic design, commercial photography, illustration, and architecture. Because of their talent and experience, they're uniquely qualified to help kids express themselves creatively. Mentors introduce kids to a broad range of creative careers, and show them that it's possible to make a good living by being creative. Each creative volunteer works one-on-one with their child, which is so important — and so rare — for disadvantaged kids. The children are amazed that they each get their own adult, and thrive on the undivided attention. Behavior improves, and friendships form. Our weekly after-school programs last approximately 7 to 10 weeks every fall and spring. At each school, we match up to 40 creative volunteers — one-on-one — with up to 40 students. We partner with various schools in the Twin Cities, including Whittier International Elementary and Bancroft Elementary in Minneapolis, and Barack & Michelle Obama Elementary and Paul & Sheila Wellstone Elementary in St. Paul. "I thought it would be boring, but now I want to come back for the rest of my life." Art Buddies projects are designed to help each child believe in themselves, discover what they can do, and expand their vision of who they can become. The buddy pairs work alongside each other in a large room at the school. 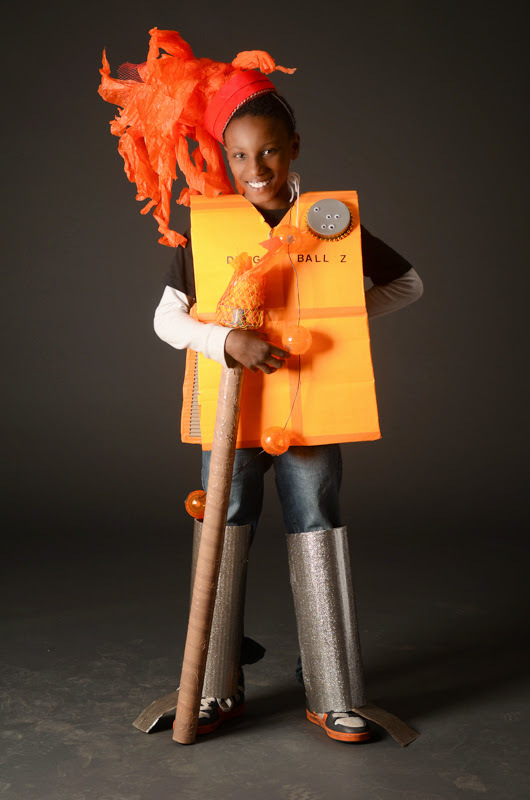 Each mentor helps their buddy concept and create a costume that reflects the child’s unique interests, strengths and dreams. The costume might be a vision of their future self, an animal that represents their good qualities, or a superhero with powers to make the world a better place. Mentors help their child express themselves in another way by creating a journal of their Art Buddies experience. Together, buddies sketch costume ideas, write stories, paste photos and share thoughts. The Grand Finale — Our big parade and show! Art Buddies ends with kids marching in their costumes alongside their mentors in an exciting school parade. Afterwards, kids pose for portraits by professional photographers, and then present their creation to the group. The children beam with confidence and pride in their achievement! "I love Art Buddies 'cause I get to put my creative feelings out in the open."